In a first of sorts, Russia’s Atomenergomash (AEM) strikes a deal with UAE's Dodsal Group to create a manufacturing unit in India in 2013 at a cost of $150 million. Russia’s Atomenergomash (AEM), a heavy equipment engineering company that specializes in nuclear and conventional energy, plans to create a manufacturing unit in India in 2013. Its partner in this venture will be the Dodsal Group, a multinational based in the United Arab Emirates. 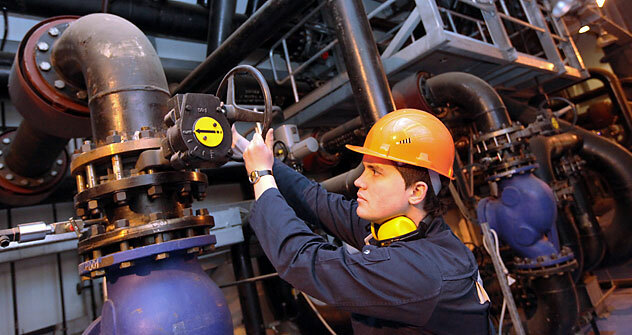 This is the first project of its kind for Russian producers of energy equipment. AEM, a division of the state atomic energy concern Rosatom, may consequently count on having the status of an Indian producer. This in turn will allow it to increase its share in contracts to build nuclear power stations in India. India has made a high degree of localization a requirement. Atomenergomash may become the first Russian company to export the production of power equipment abroad. On April 13 AEM confirmed that it would be ready by 2013 to create in India a manufacturing unit to produce nuclear power equipment for nuclear power stations, thermal energy and the oil-and-gas industry. Its partner in this enterprise will be the diversified multinational Dodsal Group. Investment in the project has been estimated at $150 million. The Dodsal Group is involved in engineering power stations, extracting gas and oil, and building turbodrives. Although Dodsal is headquartered in Dubai, the new joint venture will be based in India and do most of its work there. In March Dodsal acquired the Chennai-based company AE&E I.D.E.A., which specializes in power engineering. Joint projects by Russian and foreign companies in the field of power machinery construction have recently become a widespread practice. But in most cases they involve the creation in Russia of factories where the technology of the foreign partner is used. AEM already has a project of this kind with TVEA (a producer of power-supply equipment); future cooperation with this Chinese company may include the production of transformers in Russia. Moreover, at the end of March, AEM announced a partnership with the British division of the Korean Doosan Group, which makes equipment for thermal energy (this would be limited to deliveries of manufactured articles to Russia). In 2007 AEM created a joint enterprise with the French concern Alstom to produce low-speed turbines and generators for nuclear power stations. Similar projects exist elsewhere. FSK and Hyundai Heavy Industries, for example, have plans to build a factory to manufacture energy-supply equipment in Primorye. Inter RAO EES and Rostekhnologia have a project with General Electric to localize the production of gas turbines. In 2009 the MRSK holding made plans to create a joint enterprise with Shanghai Kirtun to create power-supply equipment. The localization of production in India may allow the joint AEM-Dodsal venture to be considered a local manufacturer and to lay claim to part of the orders for building Russian-designed nuclear power plants. Rosatom is currently completing construction of the first two reactors at the Kudankulam nuclear power plant, and has agreed to build two more. Meanwhile, the overall portfolio of Indian orders for Rosatom-built reactors may add up to as many as 18. At the same time, according to the contract, at Kudankulam Russian enterprises will receive up to 50% of the of the total volume of work, while 30% will go to local companies.